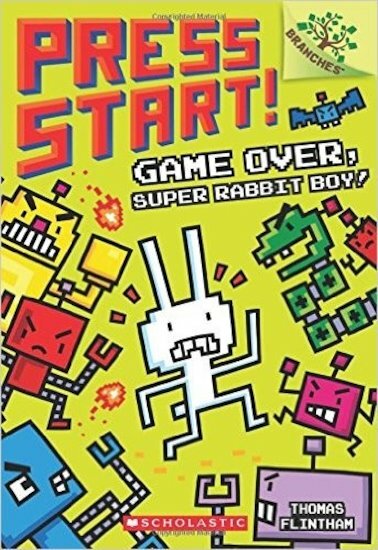 Buy Game Over, Super Rabbit Boy! It’s a game – in a book! Plus, it builds your reading skills. One to keep kids and grown-ups happy. This story has all the cool adventures and bright pixel graphics of your favourite games. But it won’t leave your mum in a grump! Welcome to the game world of Animal Town. It’s full of (you guessed it) animals. But not real ones. Computer game ones! Trouble is, nasty old King Viking has a wicked plan to spoil their fun. There will be sand traps, boiling lava and an evil robot army. Can Super Rabbit Boy save Animal Town – or is it Game Over?